A Balanced Body Pilates education respectfully and comprehensively presents the works of Joseph Pilates. 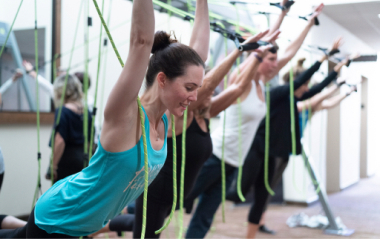 Our signature approach teaches the repertoire, movement principles, class design and client specific applications of each exercise. At Balanced Body, we encourage you to explore and create your own voice and style as a practitioner, as we believe this approach respects the past and builds the future. Our master instructors, manuals and video support are some of the best in the industry. Download our Education Course Catalog (PDF format). All Balanced Body programs begin with Anatomy in Three Dimensions and the Balanced Body Movement Principles, bringing together the art and science of movement to create a solid foundation for your practice and your career. 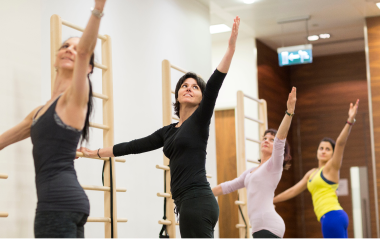 Join the Balanced Body family of dedicated, inspirational Pilates professionals with courses desiged to engage, encourage and excite you. Our Integrated Movement curriculum will deepen your understanding of anatomy and motion, and the role of quality movement standards in optimizing training to meet goals. Every training method has a unique focus and purpose. 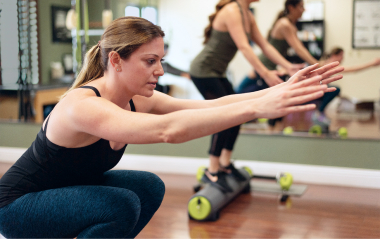 Move beyond Pilates and explore techniques like MOTR for balance, Bodhi for integrated strength, CoreAlign for gait, posture and functional training and Barre for a fun, music driven workout. Expand your repertoire, enhance your mind, increase your client base!